Armada Music recently announced a brand new joint venture with producer duo Third Party. Together, they have launched a new label imprint, going by the name of Release Records. Back in 2010, Third Party’s single ‘Release’ cleared their way to the top, leading to a collaboration with Steve Angello and their Ultra Music debut ‘Thank You’. With subsequent remix duties for Swedish House Mafia, Tiësto, Red Hot Chilli Peppers and Sigma’s UK number 1 hit ‘Nobody To Love’, the duo earned lots of exposure. Last year, Third Party released their single ‘Everyday Of My Life’, and they’ve been performing alongside established names in the industry ever since. Release Records will harbour Third Party’s original work, as well as various other progressive styled tracks, by bright talents and big artists alike. 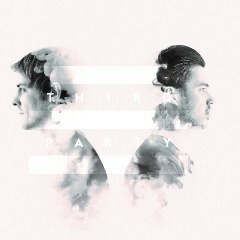 The first release is out now, and will be Third Party’s brand new single ‘Alive’.